What can I say, we are obsessed with pickles! Whether it’s a pen, a pin, a bandage, or ornament (14 different tree ornaments to be exact), you name it, we have it! Pickles have been our life. 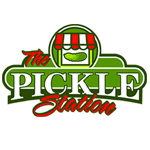 Yes, we know they aren’t really ‘pickles’, but isn’t ‘The Pickle Station’ just so much more fun and catchy than ‘The Cucumber Station’? (We think so!). We provide a service of grading cucumbers by size. Have you ever noticed how many different sizes of pickles you can buy? There are actually 12 different sizes from teeny-tiny gherkins for cocktail parties, to practically a meal on a stick! Just imagine 700,000 lbs of cucumbers, with all these mixed sizes arriving fresh out of the field to our facility every day. We employ approximately 225 local students during July and August to get this job done! All of our hard working ‘quality control pickle sorters’ remove all broken, crooked, and mis-shaped cucumbers, so just the most perfect cucumbers make it into your pickle jar. A long time ago (in 1964), our Grandpa, Norm VanRoboys, sold a load of cucumbers to Walter Bick, founder of Bick’s Pickles (so cool! ), under the condition to set up a grader in Chatham the following year. So that year grandpa contracted out 2 million pounds of cucumbers to farmers in Chatham-Kent and we’ve never looked back! In 2009, Hartung Brothers Inc, the biggest pickling cucumber handler in the United States purchased and renovated the Bick’s grader and now ships to processors all over Eastern and Central USA such as Vlasic and Heinz. The station typically handles 35 million pounds of cucumbers annually. Now that’s A LOT of pickles! Let me take a moment to tell you who ‘we’ are. ‘We’ are the third generation of VanRoboys’, devoted to pickles. 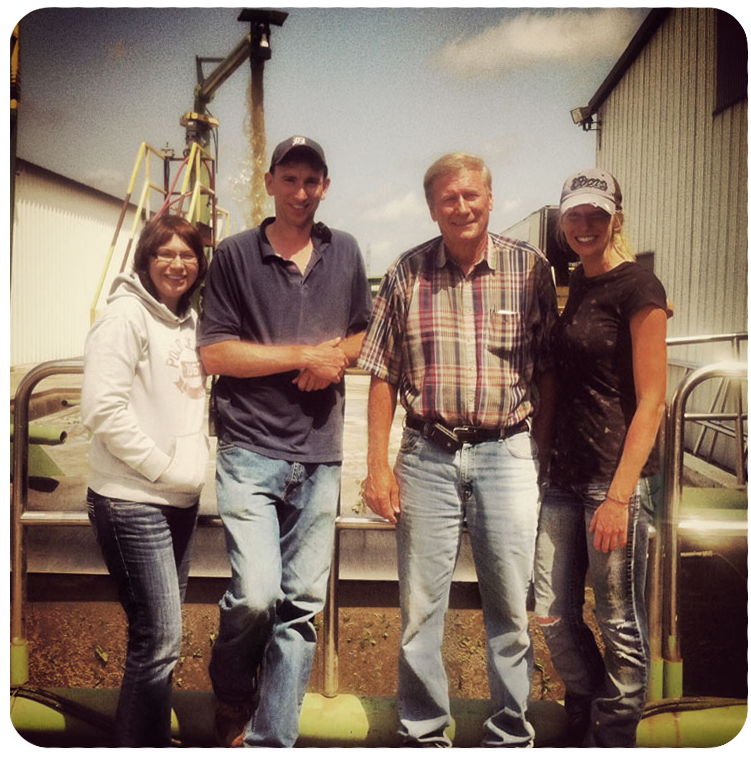 We grew up working for our parents Don and Sandy. We looked forward to the distinct cucumber smell we know so well. We looked forward to eating supper as a family at 11pm when we finished work for the day, and we looked forward to our ‘summer vacation’; an afternoon at Brander Park in Port Lambton with a bucket of KFC to celebrate the end of another successful cucumber season. This crazy, chaotic summer we live(d) is our life, and I couldn’t think of a better way to spend it.